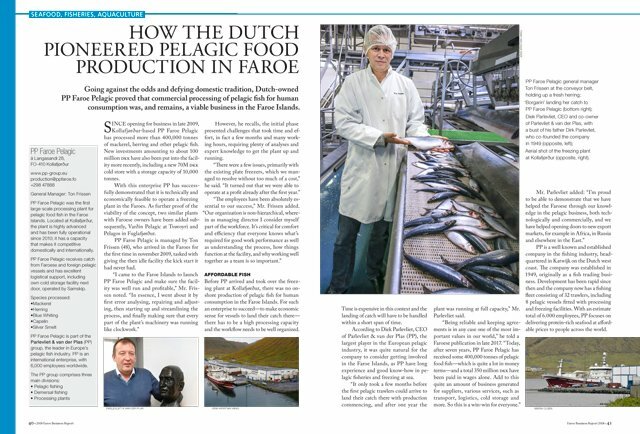 Going against the odds and defying domestic tradition, Dutch-owned PP Faroe Pelagic proved that commercial processing of pelagic fish for human consumption was, and remains, a viable business in the Faroe Islands. 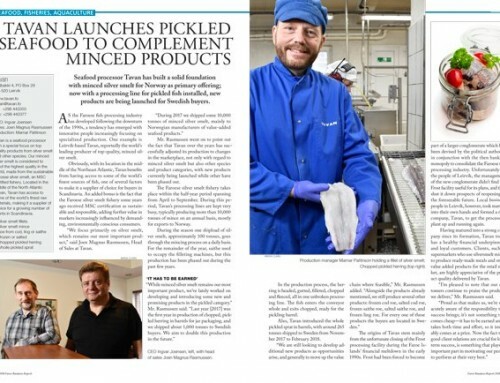 Since opening for business in late 2009, Kollafjørður-based PP Faroe Pelagic has processed more than 400,000 tonnes of mackerel, herring and other pelagic fish. New investments amounting to about 100 million dkk have also been put into the facility more recently, including a new 70M dkk cold store with a storage capacity of 10,000 tonnes. 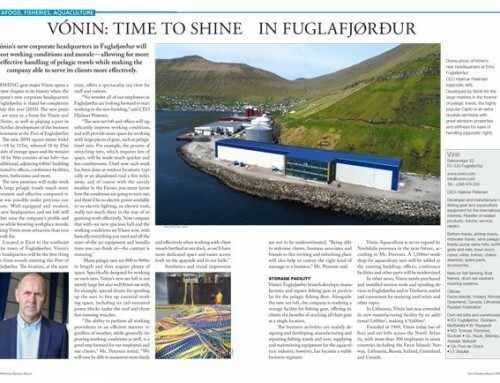 With this enterprise PP has successfully demonstrated that it is technically and economically feasible to operate a freezing plant in the Faroes. As further proof of the viability of the concept, two similar plants with Faroese owners have been added subsequently, Varðin Pelagic at Tvøroyri and Pelagos in Fuglafjørður. 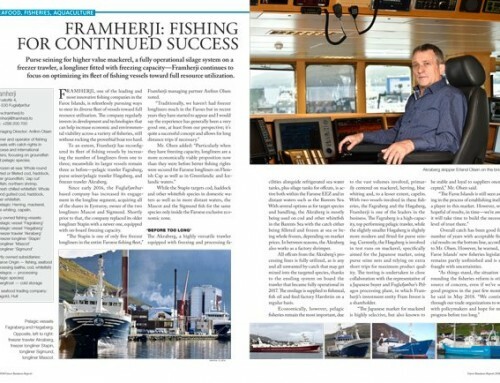 PP Faroe Pelagic is managed by Ton Frissen (48), who arrived in the Faroes for the first time in november 2009, tasked with giving the then idle facility the kick start it had never had. However, he recalls, the initial phase presented challenges that took time and effort, in fact a few months and many working hours, requiring plenty of analyses and expert knowledge to get the plant up and running. Before PP arrived and took over the freezing plant at Kollafjørður, there was no on-shore production of pelagic fish for human consumption in the Faroe Islands. For such an enterprise to succeed—to make economic sense for vessels to land their catch there—there has to be a high processing capacity and the workflow needs to be well organized. Time is expensive in this context and the landing of catch will have to be handled within a short span of time. 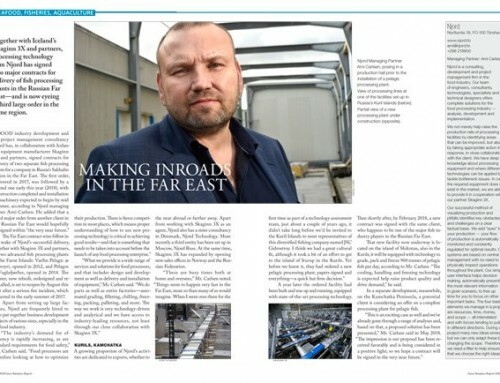 According to Diek Parlevliet, CEO of Parlevliet & van der Plas (PP), the largest player in the European pelagic industry, it was quite natural for the company to consider getting involved in the Faroe Islands, as PP have long experience and good know-how in pelagic fisheries and freezing at sea. 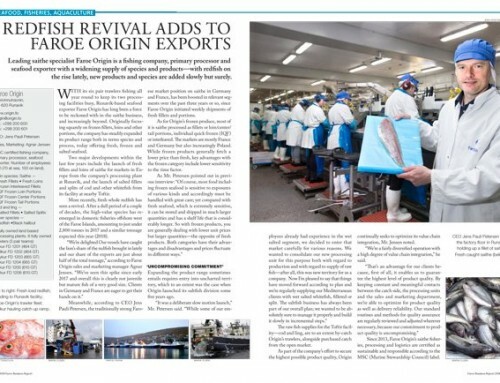 “It only took a few months before the first pelagic trawlers could arrive to land their catch there with production commencing, and after one year the plant was running at full capacity,” Mr. Parlevliet said. PP is a well known and established company in the fishing industry, headquartered in Katwijk on the Dutch west coast. The company was established in 1949, originally as a fish trading business. Development has been rapid since then and the company now has a fishing fleet consisting of 32 trawlers, including 8 pelagic vessels fitted with processing and freezing facilities. With an estimate total of 6.000 employees, PP focuses on delivering protein-rich seafood at affordable prices to people across the world.